Plans include two premieres, an off Broadway show, the opening performances of BAM’s Next Wave Festival, national and international tours. Consider the Bill T. Jones/Arnie Zane Dance Company’s 25th anniversary celebration a launching pad for its future. And what a future it promises: premieres, new venues, and a cornucopia of new ideas. The first of the Company’s major events is the New York premiere of “A Quarreling Pair,” which opens BAM’s 2008 Next Wave Festival, September 30, October 2, 3 and 4. Based on the Jane Bowles two-character play of the same name, the show is the result of Jones’s 15-year fascination with the four-page puppet play. In his 90-minute long production, Jones takes this apparently simple story of two sisters with radically different views of the world as a point of departure for a multi-layered theatrical exploration of what happens to a relationship lived in isolation. A combination of choreography, text, film, and an original score, the work creates a tension between the uniquely creative means Jones employs to explore a play that warns of the emotional suffocation and spiritual inertia resulting from a life lived without imagination and curiosity. The Beginning of the Lincoln Trilogy: “Another Evening: Serenade/The Proposition,” which marks the beginning of Jones’s three-prong exploration of the resonant legacy of Abraham Lincoln, will be performed at the Institute of Contemporary Art in Boston, MA, October 24-26. The work received its world premiere at the 2008 American Dance Festival this summer. Without introducing the literal character of America’s sixteenth president, the full-evening work weaves dance, text derived from period writings, video, and new and traditional music to explore the essential and powerful issues Lincoln’s presidency raised about the moral, social and political future of the vulnerable young nation. Although essentially abstract, a human and nonjudgmental heart beats through the entire work. Bjorn Guil Amelan, the Company’s creative director, designed the elegantly dramatic set–towering white columns set on a blazing white stage. Janet Wong, the Company’s associate artistic director, created the compelling video and Robert Wierzel designed the lighting. Employing the full company of 10 dancers, “Serenade/The Proposition” integrates performances by actor Edwin Lee Gibson with music created collaboratively by cellist Christopher Antonio William Lancaster (band leader), vocalist Lisa Komara and keyboardist Jerome Begin. The work is dedicated to the former Bill T. Jones/ Arnie Zane company member, the late Andrea Smith. “A Good Man!/A Good Man?,” a major commission from the Ravinia Festival scheduled to premiere at the Festival in September 2009, will add another dimension to Jones’s examination of the legacy of Lincoln. Full evening in length, “A Good Man” uses Jones’s childhood vision of the historic president for a starting point. Expect a dance brimming with ideas, challenges to conventional thoughts about Lincoln, and perhaps suggestions of alternative notions of Reconstruction had Lincoln lived. Integral to the work will be material gathered from the “100 Migrations” workshops scheduled for New York, NY; Charlottesville, VA; San Francisco, CA; and Chicago, IL. Jones and his company members will encourage the 100 participants in each workshop (representing a diverse and multi-generational population) to express their own interpretations of Lincoln through movement phrases and gestures. The making of “A Good Man!/A Good Man?” will be documented by Kartemquin Films, whose work has been broadcast nationally on NBC, PBS, Cinemax, and The Sundance Channel and whose “Hoop Dreams” won a 1995 Academy Award nomination. Also under consideration is a solo work, “Lincoln Lectures” (working title), a text-based theater work combining spoken word, movement and music featuring Jones and additional performers. Awards, Rewards and Addresses: One of the most articulate and inspiring artists of his generation, Jones, who has received almost every major award given in the arts, is also a much sought-after speaker. In May alone, he received an honorary Doctorate in Letters from the College of the Arts at Montclair State University on May 15; on May 17 he received an honorary doctorate from Skidmore College; he delivered the commencement address to the graduating class at Columbia University School of the Arts on May 21; and on May 29 he served on the panel for the “The Creative Brain” at the World Science Festival at New York University. On the Road: In addition to learning and rehearsing the new dances, the Company is racking up frequent flyer miles big time. 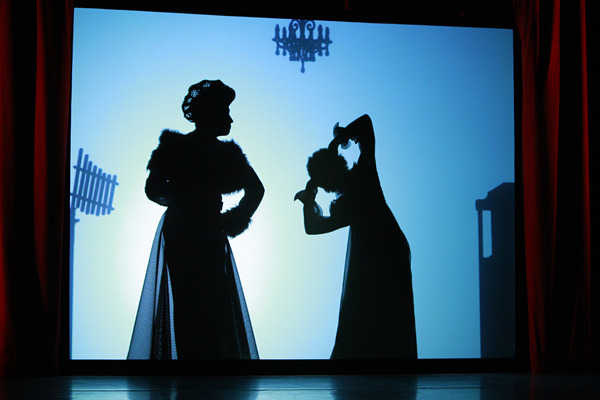 Following its BAM performances, “A Quarreling Pair” will be presented in Lawrence, KS on October 10; Charlotte, NC on February 24, 2009; and at the Kennedy Center in Washington, D.C., March 24–25, 2009. “Chapel Chapter” will be performed in Créteil, France, November 27–29 and in Rome, Italy, December 3–4 while “Serenade/The Proposition” will be performed in Tampa Bay, FL on February 18, 2009 and Lake Worth, FL, February 20–21, 2009. Up the Road: Jones is also currently creating a new musical scheduled for a limited run at 37 Arts. Previews begin August 5; opening night is planned for September 4 with a closing date of September 21. Entitled “Fela!,” and based on the turbulent life of the charismatic Nigerian composer and politician Fela Anipulako Kuti, the show, co-written by Jones and his long-time dramaturge Jim Lewis, is directed and choreographed by Jones. Born in Abeokuta, Nigeria in 1938, Fela, “He Who Has Death In His Pocket,” was a singer-composer, trumpet, sax and keyboard player, bandleader, and the inventor of Afrobeat. Throughout his life Fela fought against the corruption that permeated post-colonial Nigeria even running for President of his country. He was imprisoned, tortured, spending the remainder of his life in conflict with the regime.